In his complaint, Delhi BJP leader Rajeev Babbar alleged that Tharoor with "mala fide intention made the statement which is not only abuse of the Hindu deity but also defamatory"
In his complaint, Delhi BJP leader Rajeev Babbar alleged that Tharoor with "mala fide intention made the statement which is not only abuse of the Hindu deity but also defamatory". He said being a vice president of the Delhi state BJP, he was "identified as a worker/ supporter of Narendra Modi and BJP" and that Tharoor's statement hurt his religious statement. The complaint, filed through advocate Neeraj, termed the statement as "intolerable abuse" and "absolute vilification" of the faith of the people. "The speech of the accused had lowered down the credit and image of the complainant. The complainant was hurt and anguished as the intentional, defamatory and mischievous statement of the accused has lowered the reputation of the complainant in the eyes of others present there," the complaint said. 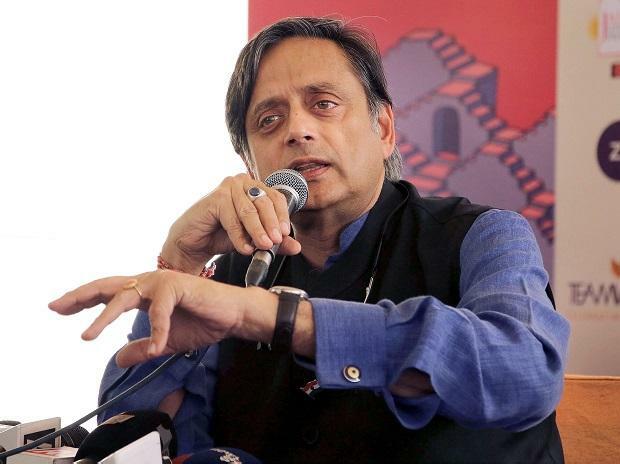 Tharoor stoked a controversy Sunday while speaking at the Bangalore Literature Festival, claiming that an unnamed RSS leader had compared Modi to "a scorpion sitting on a Shivling". "The said unknown remarks which were allegedly made in 2012 were of no consequence at that time but today with growing worldwide popularity of Modi and BJP, the accused has deliberately dug out that buried statement to quote and make it relevant in the present context," the complaint said. Additional Chief Metropolitan Magistrate Samar Vishal Saturday listed the matter for consideration on November 16. "Accused's statement is not only false, rather an insult to all workers, supporters, the leaders... The accused had deliberately made the statement intending to harm, knowing and having reason to believe that such false statement will harm the reputation of the workers/supporters of NarendraModi and BJP," the complaint said. Babbar said that Tharoor "deliberately did this malicious act, intending to outrage religious feeling of Lord Shiva devotees by insulting their religious believes".